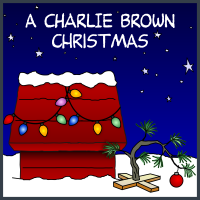 Will Charlie Brown find his holiday spirit and the true meaning of Christmas, even when getting the perfect tree and directing the Christmas Pageant do not go the way he'd planned? Find out as this holiday tradition comes to life! The 1965 animated classic, A Charlie Brown Christmas, is now a stage show with all of the characters you know and love--all right here to help you find your holiday spirit!